Records related to HUD’s communications with conservative media personality Armstrong Williams and Sinclair Broadcast Group. HUD controls a budget of over $40 billion and its policies directly impact millions of Americans and our communities. 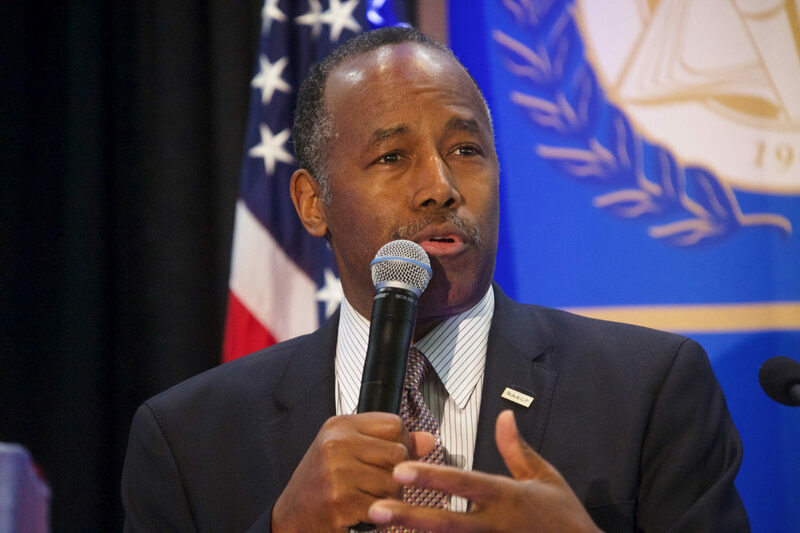 While many other cabinet agencies have been in the spotlight for reversing or altering policies from the previous administration, there has been comparatively little attention paid to HUD. The public has been kept largely in the dark when it comes to what’s happening at the agency, the New York Times and Propublica reported. In February 2018, emails we obtained from HUD revealed that Secretary Carson was allowing his family members to have influence and access at the department, particularly his son Ben Carson Jr, who was connecting his personal business associates to senior HUD officials. CNN did a deeper dive into the record and found that senior employees were also scheduling meetings with and on behalf of Carson Jr., and the Washington Post found that Secretary Carson continued to involve his family in department business despite legal advice that this could raise ethics concerns. We’re seeking answers as to what role Carson’s family members are taking in government business, particularly the ways in which Ben Carson Jr and his wife Merlynn have used Secretary Carson’s position to bolster their own companies and business interests. Merlynn Carson was even awarded a half a million dollar contract from the Centers for Medicare and Medicaid Services. When Ben Carson came under fire for purchasing a $31,000 table, he first claimed that he didn’t know anything about it, then he blamed his wife, saying she picked out the table, and then finally, emails we obtained showed that Secretary Carson actually knew about the table purchase. We’re also investigating Carson’s relationship with conservative media personality Armstrong Williams and Sinclair Broadcast Group. Williams, who is not a HUD employee, has business ties to Sinclair and made an official statement on behalf of HUD following the initial reports about Carson’s dining set.. If Secretary Carson is using his position to provide special access to his family or to steer departmental resources to other well connected interests, the public has a right to know. Records obtained by American Oversight raise serious concerns about the influence Ben Carson's son has on HUD operations — and about whether the department has taken action to benefit his private business interests. American Oversight's lawsuit against the Department of Housing and Urban Development (HUD) to compel the release of records related to HUD's communications with conservative media personality Armstrong Williams and Sinclair Broadcast Group. New emails uncovered by American Oversight show that HUD Secretary Ben Carson and wife were actively involved in selection and purchase of a $31,000 dining set - contradicting previous claims by Carson and HUD officials that he had not been aware of the purchase until after the fact. Non-partisan ethics watchdog American Oversight filed a sweeping new lawsuit against the Department of Housing and Urban Development (HUD) today seeking emails and other documents from HUD Secretary Ben Carson, Carson's wife and son – both of whom have been active in department business – and senior political appointees including Lynne Patton. Amid news reports that Secretary Ben Carson spent $31,000 on a table and asked officials to spend over $5,000 for chair, American Oversight filed a lawsuit to find out how much taxpayer money Carson spent redecorating or renovating his office.